Abbreviation for tumor necrosis factor. A gene on chromosome 6p21.3 that encodes a cytokine, primarily secreted by macrophages, which binds to TNFRSF1A/TNFR1 and TNFRSF1B/TNFBR. TNF can induce cell death of certain tumour cell lines, and it is a potent pyrogen causing fever either directly or by stimulating interleukin-1 secretion. It is implicated in the tumour-related cachexia. It may stimulate cell proliferation and induce cell differentiation. Tumor necrosis factor, see there. 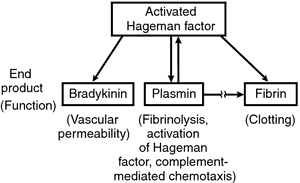 factor, a genetic-triggered, tumor-killing agent produced by the body in small amounts to counteract neoplastic growth; an experimental agent used in the treatment of cancers.